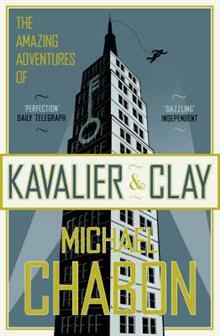 ‘Winner of the 2001 Pulitzer Prize for Fiction, ‘The Amazing Adventures of Kavalier & Clay’ is a heart-wrenching story of escape, love and comic-book heroes set in Prague, New York and the Arctic – from the author of ‘Wonder Boys’. One night in 1939, Josef Kavalier shuffles into his cousin Sam Clay’s cramped New York bedroom, his nerve-racking escape from Prague finally achieved. Little does he realise that this is the beginning of an extraordinary friendship and even more fruitful business partnership. Together, they create a comic strip called ‘The Escapist’, its superhero a Nazi-busting saviour who liberates the oppressed around the world. ‘The Escapist’ makes their fortune, but Joe can think of only one thing: how can he effect a real-life escape, and free his family from the tyranny of Hitler? Just look at the graphics!!!! Two weeks to go for another meet at White Swan and we have an amazing book to read. So grab a cuppa, settle down on the sofa and get your teeth into this months read.